Ceiling fans are best known for serving a functional purpose, but they are also a great way to jazz up the aesthetic appeal of your home. Choosing the right ceiling fan for your home might seem like a daunting task since there are so many different styles, colors and types of ceiling fans out there to choose from. 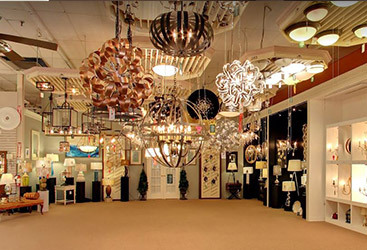 At Charleston Lighting and Interiors, we have a large ceiling fans collection in our Charleston, South Carolina showroom, and our staff specialists would be more than happy to help you find the perfect one for your desired room. Contact us today for more information or shop our online catalog to find something that will best suit your home’s design! Until then, we recommend you utilize this blog post, where we give some tips and insight on how you can choose the perfect ceiling fan for your home. 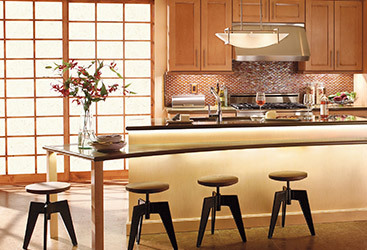 Ceiling height is an extremely important factor when determining the ceiling fan you choose. You want to make sure the fan you fall in love with will fit the room’s size and not cause any practical issues. Ideally, your ceiling fan’s blades should be about 8 feet from the floor to avoid any complications for the taller folks in your life. By measuring the height of your ceiling, you’ll be able to choose an appropriate mounting option for your fan’s downrod size. Granted, if you opt for a flush mount rather than a downrod mount, you won’t need to worry about this sizing. Flush mounts eliminate the need for a downrod, as they allow you to pin and mount the ceiling fan you choose right up against the ceiling — no extra attachments necessary. Another factor to keep in mind is the actual size of the fan for the size of the room you’re installing it in. You don’t want to have a huge fan that overwhelms a tiny room, or a small fan for a large room that doesn’t efficiently serve its functional purpose. Choosing the right size of fan for your desired room is essential in finding your perfect ceiling fan. Contact us today with any further questions you may have about sizing! No matter what style of fan blades you choose, they all obviously serve the functional purpose of moving air around your desired room. But fan blades come in many different styles, and fans can include anywhere between three and eight blades (sometimes more)! Choosing fan blades comes from a place of decorative preference, so our recommendation is to just choose what you think looks best. Our fan blades vary in finishes, styles, and sizes, ensuring you’ll find something that suits your home’s design, whether that’s traditional, modern or minimalist. Our finishes range from black, bronze, chrome, white to multi-colored, and our styles include contemporary, modern, leaf, rustic, traditional, transitional, tropical and more! This is where finding your perfect ceiling fan can get fun (or stressful, we guess, if you’re the indecisive type). 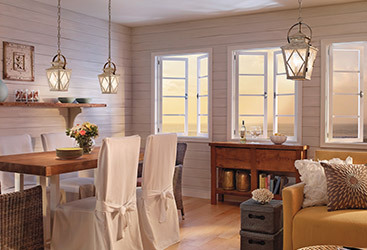 Ceiling fan manufacturers produce a plethora of styles and finishes to ensure there is something out there for every person’s design taste, and our selection at Charleston Lighting and Interior has a large selection for you to choose from. Standard ceiling fans. Your typical fan with a metal downrod. Best for rooms with ceiling heights of 8-feet or higher. Low-profile ceiling fans. Also known as hugger fans, these are mounted tight against the ceiling. Best for rooms with ceiling heights under 7-feet. Ceiling fans with lighting. These ceiling fans include lights to increase functionality. Best for rooms with minimal natural lighting. Outdoor ceiling fans. These ceiling fans are placed outdoors and usually come in two styles: damp and wet. Best for adding a cooling function to an outdoor patio or porch area. Energy Star ceiling fans. Boasting 50 percent more efficiency than standard ceiling fans, these are best for the customers who are looking for an eco-friendly and energy efficient ceiling fan. Dual motor ceiling fans. 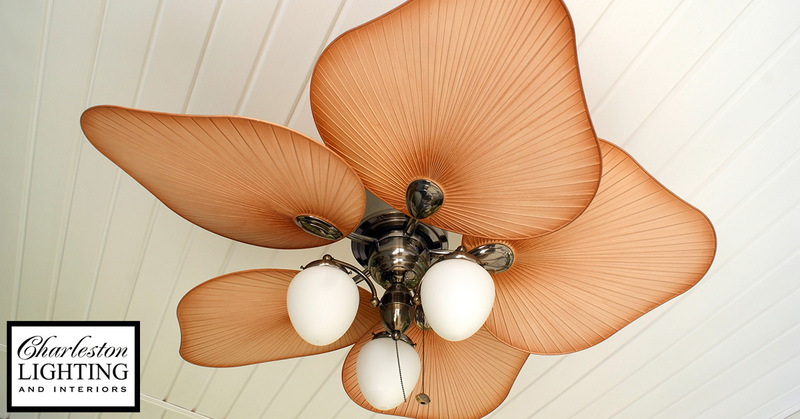 These uncommon ceiling fans can be featured indoors or outdoors, and they have two adjustable fan heads that move air, usually with a light separating them. Best for the customers who want to make a statement. 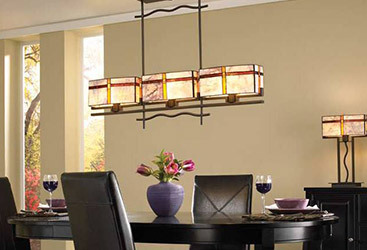 Are you not really sure what ceiling fan will look best in your desired room? Our team at Charleston Lighting and Interiors can help! 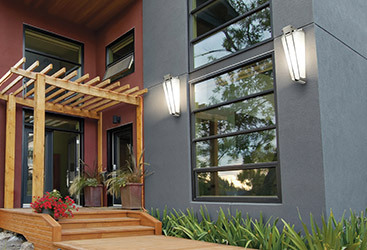 We have years of experience connecting customers with their ideal lighting and fans. Contact us today for assistance! Do you want a simple string to pull to turn on your ceiling fan, or do you want something a little more high-tech? Whatever your preference may be, most fans can be customized to fit your exact style and functionality preferences. A common fan accessory is a remote control, which allows you to turn on your ceiling fan with the simple click of a button. Another accessory is a fan control switch, which is typically placed on the wall next to a light switch. These fan control switches can get fancy, boasting different features and designs so you can find the perfect speed for your ceiling fan. Ceiling fan accessories can also include different styles of downrods or angled ceiling adapters, which attaches to the outlet box when mounting ceiling fans on angled ceilings. 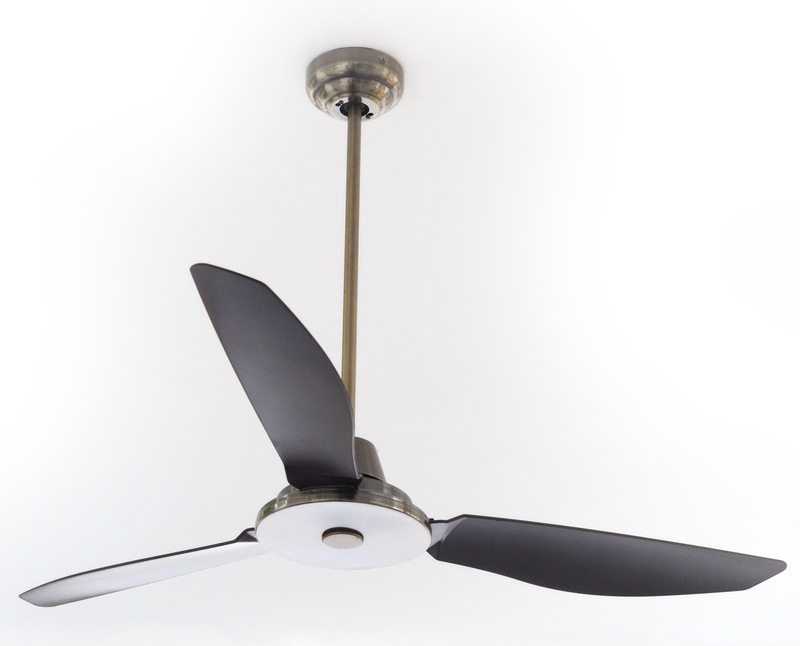 Want to browse our ceiling fan accessories? Click here. 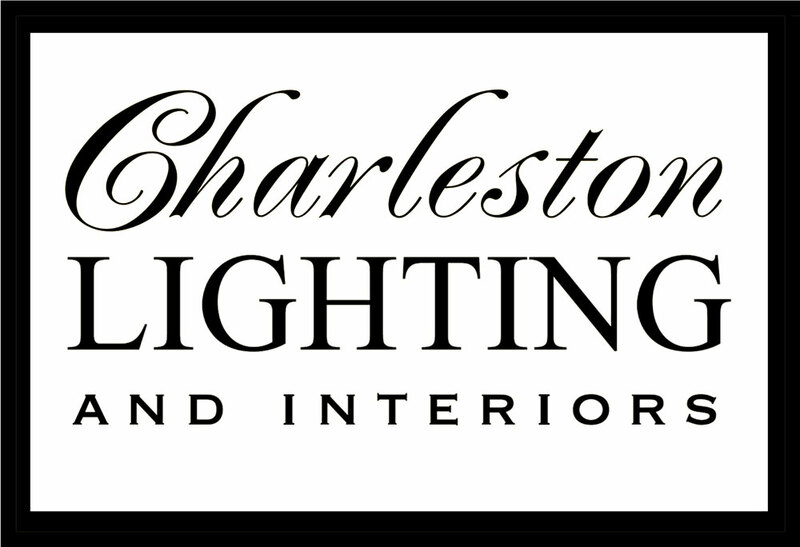 Charleston Lighting and Interiors is the Carolinas’ Top Rated Local® Lighting Showroom, as we have lighting and accessories for every room and style. 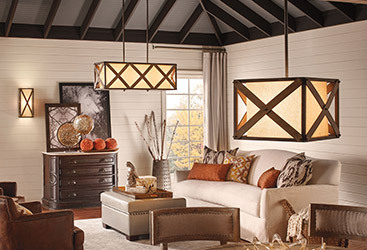 Our staff of lighting specialists are knowledgeable about everything lighting-related, and they can help you choose the most functional ceiling fan for your home while also keeping in mind your design preference and budget. 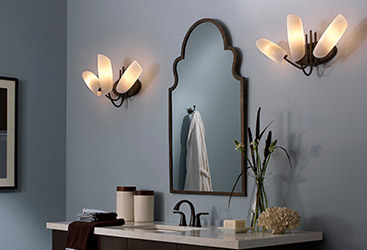 We also offer a wide variety of ceiling lights, wall lights, outdoor lighting, and more! Whether you’re searching for a new ceiling fan or are thinking about installing your first one, we can help you with the process. For more information, call us at (843) 790-8415 or fill out our online form. You can also come visit our Charleston-based showroom and see our inventory and meet our friendly team yourself! We look forward to it!